Short walk for easy access to/from Warszawa Centralna and public transit. Clean, bright and neat flat. Good Wifi. Kitchenette and coffee machine perfect for quick breakfast or relaxing after dinner. wifi is quite fast. Indeed short distance to central train station. Podczas odbioru klucza bardzo miła i pomocna obsługa. Udało się zameldować dużo wcześniej. W mieszkaniu było czysto. Lokalizacja blisko dworca centralnego. Dodatkowo w kuchni czekała woda, kawa, herbata. Perfekcyjna lokalizacja. Kawa, herbata i woda na miejscu. Fajna lokalizacja, profesjonalny personel. Pokoje i łazienki sprawiają wrażenie dobrze wysprzątanych. Przestronne korytarze sprawiają wrażenie 4* klasy hotelu. Понравилось все! Очень уютные апартаменты. Новая мебель, все красиво, стильно, удобно. Чай 5 сортов, караульная кофеварка и 5 видов капсул на выбор. В следующий раз тоже обязательно остановлюсь там! Widok z balkonu i bliskość do centrum Warszawy. Pokój również był adekwatny do ceny. Bardzo miła obsługa. Przy rejestracji dzielono mi bardzo dużo cennych informacji dotyczących pobytu i poruszania się po mieście. Zameldowanie i wymeldowanie bardzo sprawne. Czysto, wszystko sprawne i dużo udogodnień. 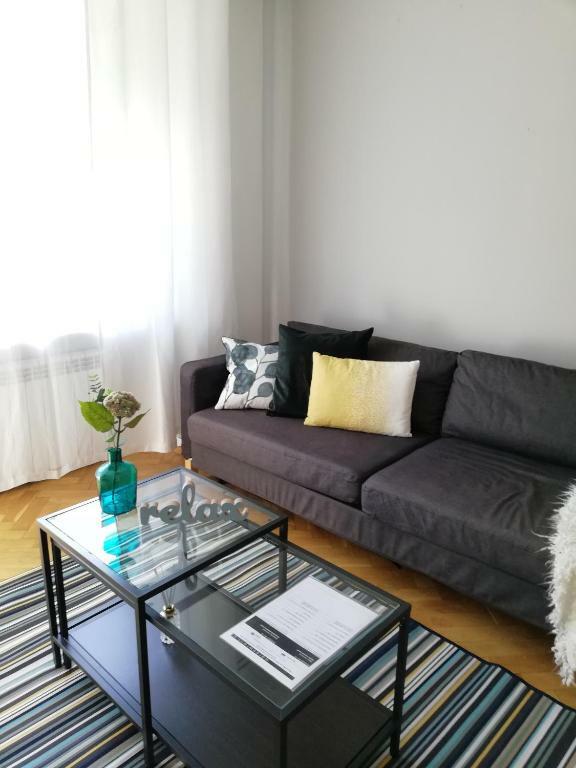 Lock in a great price for Warsaw Budget Apartments – rated 8.8 by recent guests! 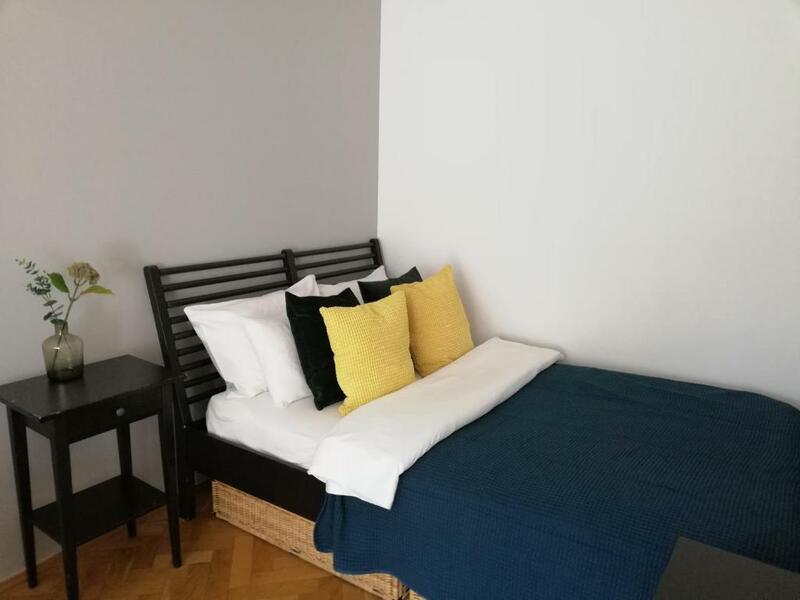 Located in the city center, Warsaw Budget Apartments offers self-catering accommodations with free WiFi access. 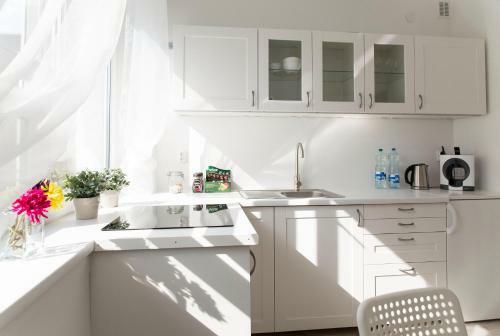 The property is 1,500 feet from Warsaw Central Railway Station, while the Złote Tarasy shopping center is right next door about 1,650 feet away on foot. Each apartment features a seating area with cable TV. There is a fully equipped kitchen in each one and a bathroom with a shower with the exception of one apartment, which features a bath. There are numerous attractions in the area, including the Palace of Culture & Science, which is 2,800 feet away, as well as many restaurants and shops. The Centrum Metro Station is 0.6 mi away. 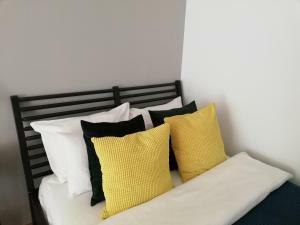 When would you like to stay at Warsaw Budget Apartments? This studio is located on Złota 79 street. It features a private entrance, view and kitchenware. This studio features a sofa, stovetop and oven. This apartment has a electric kettle, tea/coffee maker and dishwasher. This studio has a electric kettle, kitchenware and cable TV. Jesteśmy firmą posiadającą kilkadziesiąt apartamentów przy ulicy Złotej. Jesteśmy trochę staroświeccy i stawiamy na bezpośredni kontakt, dlatego na Złotej 63a znajduje się nasza całodobowa recepcja. Mamy nadzieję, że pobyt dla wszystkich podróżujących, którzy wybiorą nasz obiekt będzie przyjemny i komfortowy, niezależnie czy celem podróży jest zwiedzanie czy podróż służbowa. House Rules Warsaw Budget Apartments takes special requests – add in the next step! Warsaw Budget Apartments accepts these cards and reserves the right to temporarily hold an amount prior to arrival. Please inform Warsaw Budget Apartments of your expected arrival time in advance. You can use the Special Requests box when booking, or contact the property directly using the contact details in your confirmation. I rented two different Apartments during one weekend. The last one i booked the same day due to change of plans. The first one was very nice and in the same buldring as the reception. It was not very big, but enough for one person. Clean. The second one was older and in another building. The staff said it was 100 meters away from the reception, but it was more like 200-300 m. away. 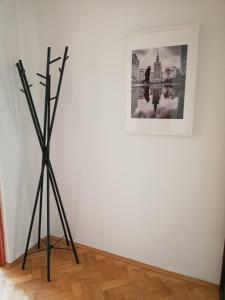 The picture and the adress of the apartment was another than the information on Booking.com. The apartmen twas clean, but it was a lot of noice from the neibours. The walls must have been very thin, becauseI I could hear them talk. Missing a microwave In the kitchen. Stated have washing machine, but didn’t. The bed sheet/linen abit old. Need a small coffee table for the living room/couch area. A towel hook in the bathroom would have been greatly appreciated. I have stayed in Warsaw many times, many apartments are high quality. This apartment was the second worst experience I have had. The claim that "Złote Tarasy (Golden Terrace) shopping center is right next door" is a lie - yes, it can be seen right across the street. However, it takes almost 10 minutes to walk there because the nearest crossing is at the next intersection which is a long way away. Finding the owner's hidden office required many phone calls. If you do not have a local SIM card, it will cost you quite a lot in roaming call charges to obtain the keys. Owner does not check apartment before renting it out: Toilet was broken when I arrived. They had to come into the apartment twice to fix it. Apartment itself is older than photos appear. Neighbourhood feels unsafe. I was a little lost and standing on the street looking at my smartphone for directions, and a naked, crazy-eyed man came to hassle me. 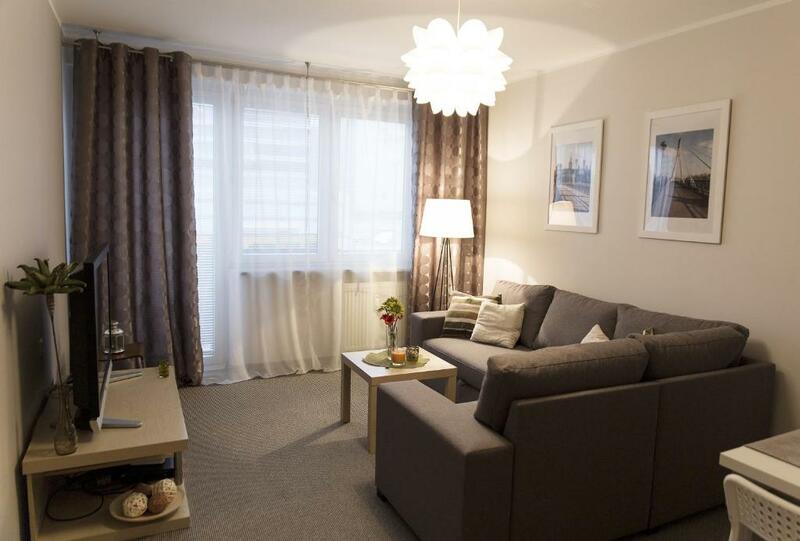 I have stayed in Warsaw many times, many apartments are high quality. This apartment was the second worst experience I have had. It seems that west of Al Jana Pawla II the neighbourhood and quality takes a sharp drop. In future I will be conscious about picking a location east of Al Jana Pawla II instead. TV had only one program. A coffee machine was difficult to use and broken. I also had some difficulties opening the main doors (chip was localized in a key ring but nobody told me that). 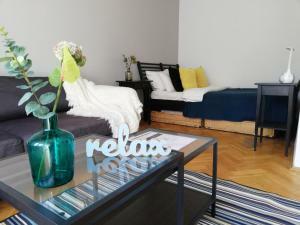 Great localization and a great apartment!! !